I stopped to do Romanian deadlift when I increased weights to 90kg (198 lbs) + olympic barbell weight. I lost my balance so I changed to the classic deadlift. After searching informations on web to improve my technique, I managed successfully. I’m really happy, 3 sets of 8 reps and the last set, 6 reps. Disappointed, I didn’t do 8 reps for the last set but it’s a lot better than the last time when I was losing balance. 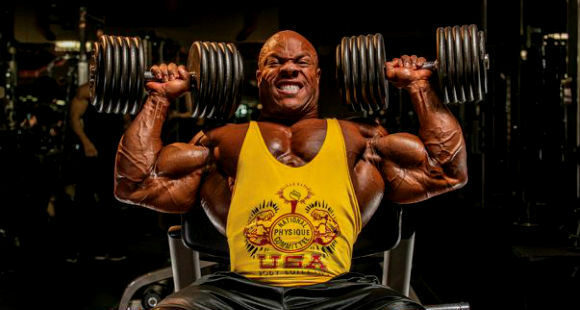 When I did this exercice, it happened two things, from the sixth reps my grip decreases. 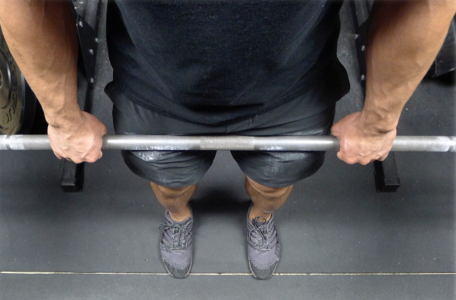 This is especially with the left hand, I grip the barbell with fingertips, it’s hot. I believe that from the 3rd set, I had a sore lower back, but only on the left side before it was all over the lower back. I think it’s because this is my weak side. Fortunately the pain was gone with the next exercice. With training and strengthening my lower back, I can make Romanian deadlift like Squat, EASY. For grip, I don’t know how to train it but I’ll find. Objective 4 sets of 8 repetitions, clean. Tomorrow, I go to a new level in my training, I add 2 reps to each exercises except Squat and Romanian deadlift. It will be hard but I’ll do it, I felt this week with several exercises I could add a set. Maybe I will can’t do 4 sets of 10 reps for each exercice but I will continue until I do all reps cleanly. What excites me most is that in two months, the next change in my workout is weights. Yeah, I will increase weights of 2 kg (4.4 lbs) but I’ll tell you this in another article. Do a diary to know what weight you lift and how much reps you do to track your progress. I advise you to do that because your entourage will not tell you your progress, they become jealous of your progress but it doesn’t matter. It‘s you who choose the life you want to live. You want to become a better version of yourself ? Free fitness program (select a program and click on « Log in as Guest »).